The increasingly popular Hyundai ix35 compact SUV is being revamped and new standard equipment added for the new model which goes on sale in September. 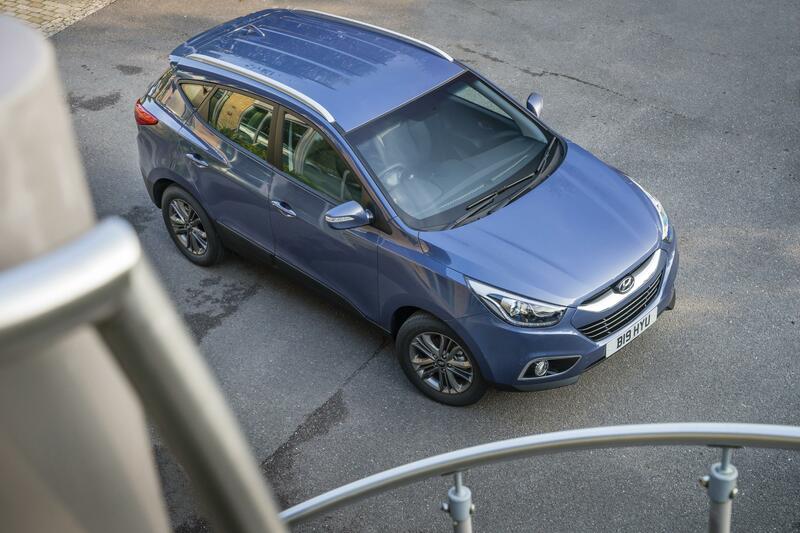 Hyundai are building on what has become a bestseller for them – the ix35 has sold more than 220,000 models in Europe, with 30,000 buyers in the UK – since its launch in 2010. Buyers of the new Hyundai ix35 will also enjoy new levels of trim from the entry level S to the top one called ‘Premium Panorama’. The firm is retaining the 1.6 litre GDi petrol engine for the Hyundai ix35 as well as the 1.7 litre and 2.0 litre CRDi engines. Among the options is the Intelligent Stop & Go system and there’s a six-speed manual gearbox for the 2.0 litre 4WD model. The engine has more power and slightly better economy for the Hyundai ix35 of 41.5mpg, compared to 39.3mpg in the previous engine. Hyundai says the new ix35 offers great value for money and points to the improved list of standard features to underline its point. Among the new standard kit are LED daytime running lights, tyre pressure monitoring and trailer stability assist. There’s also a better audio and navigation system on board too. Drivers who love the Hyundai ix35 will find the chassis and suspension have been tweaked to give a firmer ride and handling is improved by the introduction of selective dampers and side-load coil springs. Prices for the Hyundai ix35 start at £16,995, which is cheaper than the previous price, and this model comes with 16 inch alloy wheels, remote central locking and air con. The next trim level, the SE, is probably slightly better value at £18,495 with a great range of standard equipment such as cruise control, voice controlled Bluetooth, heated seats and rear parking sensors. There’s also a leather gearknob and steering wheel. The most expensive Hyundai ix35 is the 2.0 litre CRDi which costs £27,755. Hyundai also have an interesting array of options for the ix35, including sat nav, rearview parking camera (which are standard on the dearer models) but there is a £795 ‘safety and comfort pack’ which includes Flex Steer and front parking sensors. The Hyundai ix35 joins a stable that is growing in popularity because the European-made models are reliable and well-priced and have an unbeatable warranty package of five years unlimited mileage warranty, five years free roadside assistance and five years of annual vehicle healthchecks. This entry was posted in Car Updates & Releases, Cars, Family Car, News and Views and tagged hyundai, Hyundai ix35, Hyundai warranty, ix35, new Hyundai ix35 by Steve Lumley. Bookmark the permalink.